When Janet Yellen announced a quarter-percent raise in the Federal Reserve interest rate earlier in March, government bonds dipped while stocks ticked upward. The Fed is expected to make at least three additional hikes this year. While it’s a national—and international—story, rate hikes also affect individual consumers. In order to localize upcoming rate hikes, it helps to consider just how these incremental increases impact your readers. We asked Jill Gonzalez, an analyst from WalletHub, to give us ideas for personal finance stories resulting from upcoming decisions by the Federal Reserve. “The [March] increase will cost U.S. consumers roughly $1.6 billion in extra credit card finance charges during 2017, according to our projections based on our tracking of credit card interest rates over time,” she says. Personal business writers can explain why paying down credit card debt becomes increasingly important, and suggest strategies they may not have considered. Other ways to localize the story include comparing your region’s credit card debt and credit scores with those of other communities. 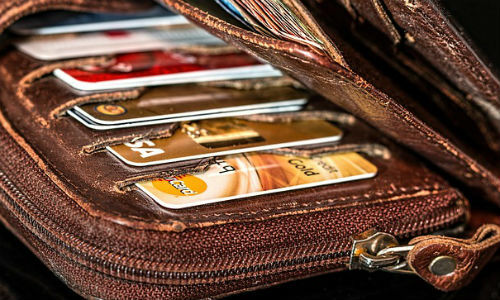 WalletHub has clickable graphics that detail cities with the highest and lowest credit card debt, and cities with the highest and lowest credit scores. The Fed’s decision also impacts home buyers. Gonzalez says, “Mortgage rates are more difficult to predict, despite our periodical tracking, as they are long-term financial vehicles with fixed rates.” But she advises that it’s worth looking at what happened to the annual percentage rate (APR) on 30-year fixed-rate mortgages when the rate rose last December. The APR rose from 3.48 percent in late June 2016 to 4.32 percent at the end of the year. Watch what happens to mortgage rates in your area, and speak with real estate professionals about likely fallout. Auto sales, leases and financing are other areas impacted by the interest rate hike. “In terms of car interest rates, the average APR on a 48-month new car loan rose from 4.25 percent in August 2016 to 4.45 percent in November, and a similar increase is also expected now,” says Gonzalez. “According to the most recent estimates, car dealers are expecting car sales to drop from 17.55 million to 17.1 million in 2017 as interest rates and vehicle prices are on the rise.” Local reporters could visit WalletHub’s auto financing report, which lists the financing available from 22 car manufacturers and historical interest rates.